Uses torsion spring bundles and levers to launch ping pong balls. Ballista Kit is assembled from pre-cut pieces with no tools. Uses torsion spring bundles and levers to launch a ping pong ball up to 30 feet. 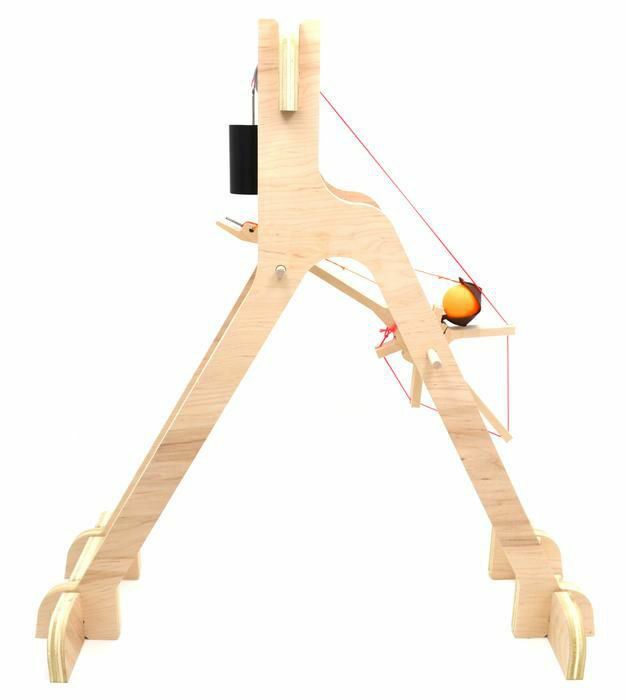 Allows for multiple launch angles and exploration of projectile motion and trajectories. Delivery information: Includes 12 part kit, string, leather pouch, ping pong ball and guide.